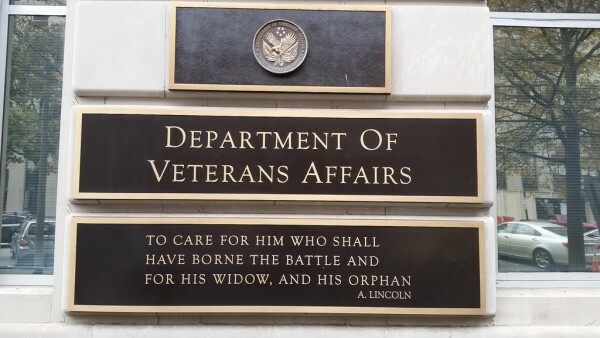 Now it may seem a bit incongruous to examine the Department of Veteran Affairs (the “VA”) through the eyes of Nassim Taleb, but there are a number of clear signs that the VA is a BIG and IMPORTANT institution that has lost its way. In effect, the VA is FRAGILE. In Mr. Taleb’s remarkable book, he joyfully examines the human body, science, biological and economic systems, business, medicine, regulation and even psychiatric well-being from the three types of exposure: fragile, robust and antifragile. Without belaboring the point, there are many examples which clearly demonstrate that the VA is “fragile” if not broken. In fact, one could argue that the system is already in terminal decline propped up by self-serving bureaucrats to effectively deny proper medical care to our Veterans. While this conclusion is seen through the lens of Nassim Taleb in Antifragile, all one needs to do to reach a similar conclusion is to scan the countless unheeded GAO reports citing the failings of the VA or pour over the numerous Congressional hearings on the VA. True reform of the VA has simply become a platform to promote self-serving sound-bites by politicians and VA bureaucrats. Sadly, our brave Veterans and Jane and John Doe Public have been suckered big time by the VA.
Doesn’t Dr. David Xavier Cifu fit the bill as an effective lobbyist for the pharmaceutical industry? Unless I misunderstand, Dr. Cifu is suggesting that we should treat military personnel with concussions (or worse) with drugs and get them back to duty as quickly as possible. His argument is based on his own personal experiences of having six concussions and that this is the treatment he prescribes to his family. Despite being shunned by others in the medical profession, Dr. Cifu could be right. The real question we should all ask is this: What if Dr. Cifu is wrong? In effect, Dr. David Cifu – as a proxy for the VA – is effectively condemning thousands of Veterans to the same flawed treatment procedure. One might ask what treating PTSD by the VA has to do Nassim Taleb’s theory about Antifragility or Incerto? Actually, a great deal. Mr. Taleb would argue that fragile government bureaucracies like the VA are highly susceptible to arrogance and the inability to distance themselves from the predictive but flawed models they so vigorously defend. Mr. Taleb would no doubt argue that it is better to have many “small” therapy programs that can fail rather than expose ourselves – and the lives Veterans they claim to support – to a potentially catastrophic mis-diagnosis. With its $180 billion budget, it is now time to unravel this bureaucratic behemoth in the hope that more robust and, hopefully, antifragile therapy can emerge from a decentralized health management approach for our Veterans. If we don’t move in this direction soon, the lives of hundreds of thousands of brave Veterans and their loved ones could be negatively affected. Sure, there will be mistakes, but we won’t have all our eggs in one basket. Are you listening, Dr. Cifu? Let’s spare the VA and the brave Veterans that rely on its services the Black Swan effect.